The kids of Katiet and A Liquid Future feature in surf travel documentary! Last August filmaker Mark Waters arrived on the shores of Katiet, one of his stops on a journey throughout Indonesia to capture the magic and meaning of surf adventure travel in the modern day. What resulted is the magnificent “The Salt Trail” – his first feature film and all self-funded. What a legend! This is a visual story about splashing some colour into your lives, by opening your eyes, breaking away from the mould and following your dreams. As wave sliders, we are inspired by waves to travel the globe in search of perfect waves but the deeper you look and the further you go, you realise that its not about finding that perfect slide…its about the people you meet and what you find along the way and how these experiences change you deep within. Mark fell in love with the village, villagers and most of all the children of Katiet who feature in this spellbinding documentary. With the children able to speak English with Mark the experience was all the more special for both parties. The documentary inspires one to go out and discover, meet, and share life with everyone and everything around you. Powerful messages that A Liquid Future’s heart beats to as well. 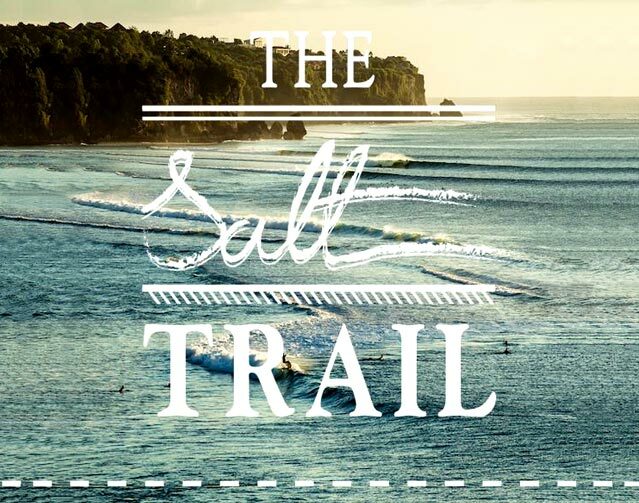 At its recent world premiere last month at the London Surf Film Festival, “The Salt Trail” surfed away with Best British Film and Best Cinematography….Oh yeah Mark!!! It is set to show in various surf film festivals around the world. Click on the links below to see the trailer and to keep abreast of dates and locations of showings via its facebook page. If you can make it along to one, you’ll be running back home to begin plotting your own Indian Ocean adventure the minute it finishes. Go for it! What have you got to lose…….?? ?